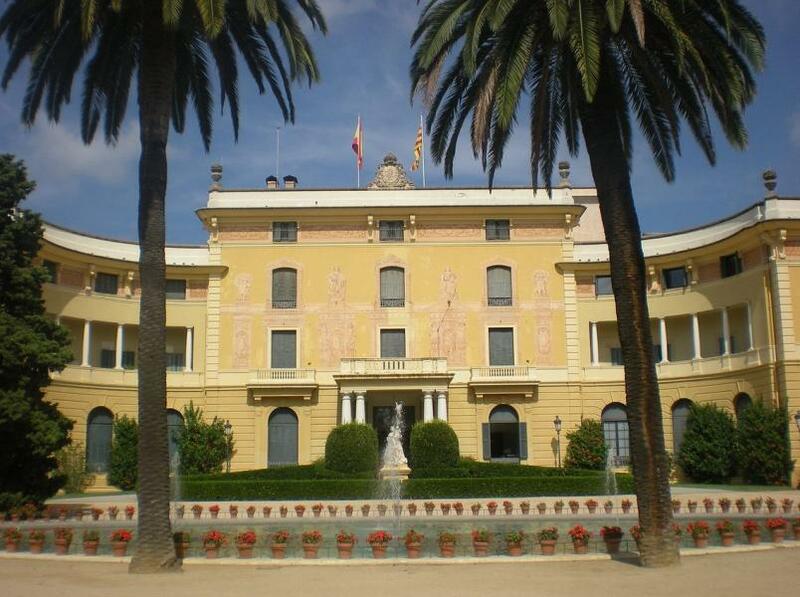 The Palau Reial de Pedralbes was a rather nice present to King Alfonso XIII from the heirs of Eusebi Güell to thank him for making Eusebi a count. It served as headquarters of the Republican government at the end of the Civil War, and it was from here that President Azaña joined the rest of Barcelona on 29 October 1938, tearfully cheering as the last 12,673 members of the International Brigades marched down the Diagonal towards France and away from a hopeless cause. Dolores Ibárruri, La Pasionaria, was on hand to give a moving speech. ‘You are history. You are legend. You are the heroic example of the solidarity and the universality of democracy…’ Franco made the palace his official residence in Barcelona, and on a happier note, Juan Carlos’ daughter Christina held her wedding banquet here in 1997. For decades the palace housed museums of ceramics, design and graphics arts, now all mostly relocated into the new Museu del Disseny de Barcelona. Leafy trees shade the surrounding park, laid out in 1925 by Nicolas Rubió i Tuduri, deflecting the summer sun and the sound of the traffic, to create a delicious retreat dotted with lily ponds and secret bowers. Tucked away in a tiny bamboo forest is a fountain by Gaudí, only discovered in 1983 under the ivy, in the shape of a dragon spewing water from curling jaws. At the entrance stand forlorn statues deemed lewd by prim 19th-century Barcelonans and moved here from Plaça de Catalunya to spare society’s blushes. Starting in June 2013, the park has hosted Barcelona's popular new Festival Jardins de Pedralbes, a music festival featuring the likes of Julio Iglesias, Bob Dylan, Josep Carreras, Earth, Wind and Fire, Lana del Ray, the Pet Shop Boys, and Crosby Stills and Nash.